Daniel began his career as a systems consultant and multimedia developer, working on projects that took him from Bangkok to Ankara. And then he traded code for copy. Since then he’s worked on everything from finance to FMCG, retail to automotive. He’s grown brands like HSBC, Ford, Shell, Nestlé, Abbott, SingTel, Celcom, Nokia, Blackberry, Seagate, Carlsberg and Coca-Cola. Today he’s the Creative Director on global account Clear shampoo (Unilever) and regional lead on 100PLUS (F&N). His work reaches over 80 countries worldwide. To date, his creative efforts have collected over 70 international, regional and local creative awards including Cannes, Clios and D&AD. He brought Malaysia its first AdFest Best of Show just one year after he represented the country as Young Lotus. 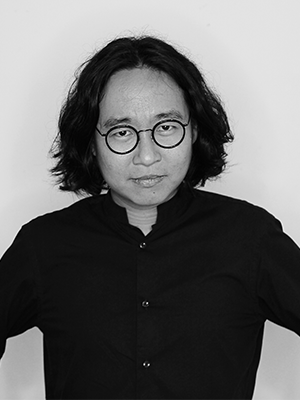 With MullenLowe Singapore, he’s followed with a Spikes Asia Grand Prix and two Best of Categories at the Creative Circle Awards, helping a client to Advertiser of the Year in 2015.